Carol Cannon has been on the Path of Kindness and Compassion for over 45 years. Introduced to Yoga and Meditation at age 18, she saw early on that life can be lived in a harmonious way. Her early years of selling residential and appraising commercial real estate were always guided by caring for her clients’ and fiduciaries’ best interests. As Vice President at Chase Manhattan Bank, her responsibilities included appraising proposed and existing properties, analysis for loan work-outs, and managing the Boca Raton, FL office which covered nine southeastern states and a portfolio of over $2 billion. She was known for her “odd” interests in Yoga, Meditation, Organic and/or Vegetarian lifestyle and concern for humanity. Secretly, many of her co-workers would come to her to discuss their thoughts outside of corporate life. In 1993, when Chase decided to close all regional offices, Carol took the opportunity to return to school for architecture and interior design. During that year, she discovered Feng Shui, the Chinese art of placement, and began her studies in the Black Sect Bon Tibetan School of thought. Carol continued studies in the Classical School of Feng Shui, and today is a Certified Feng Shui Practitioner through the New York School of Feng Shui. 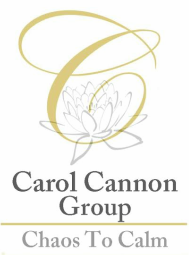 Carol was also the founder of the Florida School of Feng Shui which encompassed a 9 month training period. During the same time she began Feng Shui, Carol discovered Bau-Biologie™, the study of the impact of a building's environment upon the health of people who live and work within it. Carol graduated from the International Institute for Bau-Biologie™ and Ecology, Inc., in 1995 as a Certified Building (Bau) Biology Environmental Consultant. Carol consults with those who are looking for acceptable new residential or commercial buildings, to ensure that they choose a healthy and harmonious design. Carol was the Feng Shui and Bau-Biologie Consultant on the design team for Florida Atlantic University’s School of Nursing building. It was a ground breaking building that incorporated Feng Shui, Bau-biologie and LEED building concepts and the first in South Florida to achieve LEED Gold certification in October, 2007. She has also been a consultant for Health Communications – Publishers of Chicken Soup for the Soul series, Crystal Cruise Line’s Spas and many other corporations, holistic/alternative wellness facilities and individual’s buildings. At her first Kalachakra Initiation with H.H. Dalai Lama in 1999, Carol purchased her first Himalayan Singing Bowl. She soon, accidentally, discovered the magic of clearing and calming energy for those who were in hospital. By 2010, she completed certification as a Master Himalayan Singing Bowl Practitioner from 9 Ways Academia in Quakertown, PA.
With a BS degree in Business and Accounting Stress, she has loved numbers and analyzing things her entire life. A 25+ year veteran of QuickBooks bookkeeping, Carol also enjoys helping solopreneurs, non-profits, small spiritual organizations and the elderly simplify their bookkeeping so they can focus on other things they love in life. Carol is a resident of Allentown, PA, made popular by the singer/songwriter Billy Joel whom she met at his Allentown area performance in the 1970's. She speaks to groups of any size, teaches classes, and conducts weekend workshops. She is a noted expert in her field and has been interviewed on local, national and international television and radio. She has also been featured in numerous newspapers and magazines. Carol believes “There is a need to blend Feng Shui, Sound & Healthy Building practices, to create healthier, peaceful, joy filled living and working environments for all”.